Bloedel Conservatory. Photo © Vicky Earle. 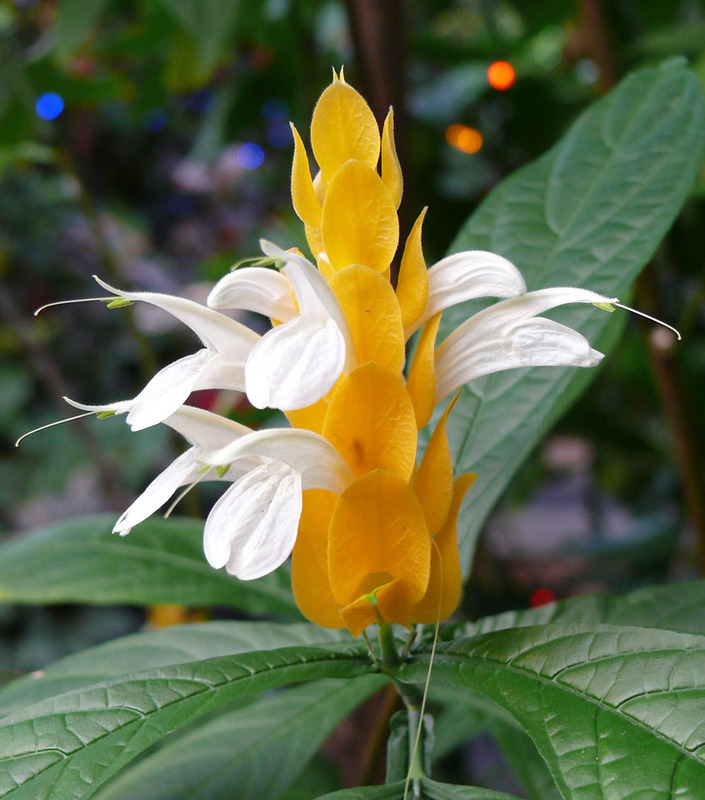 A New Year is around the corner and we have much to celebrate at the Bloedel Conservatory! This past year began with the monumental signing of the agreement to merge the Bloedel Conservatory with the VanDusen Botanical Garden. This was a culmination of 4 years of hard work and cooperation between the Vancouver Park Board, the VanDusen Botanical Garden Association and the Friends of the Bloedel. With the Bloedel Conservatory officially under the wing of VanDusen Garden, 2013 became a year of organization and planning! With the VBGA staff officially on board, many new and exciting projects got underway. First, new docents will begin training in early January and will undergo an intensive eight week program to learn about the world of tropical plants and birds that live under the dome – plus their bigger connection to rainforests around the world. Once this program is complete, they will be roving the Conservatory every weekend throughout the year and sharing the incredible stories under the dome. 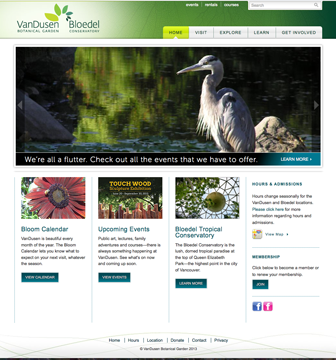 The VanDusen Botanical Garden/Bloedel Conservatory launched a brand new, easy to navigate website: www.vandusengarden.org. 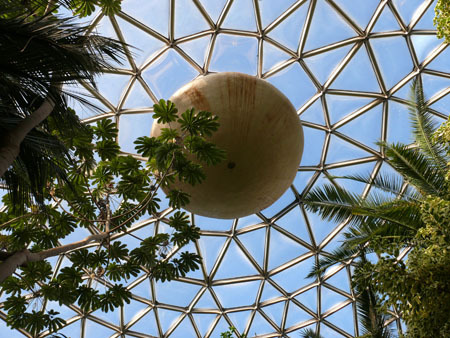 It’s now easier than ever to register for programs at the dome and donate to specific projects to better the Bloedel Conservatory. Visit http://vandusengarden.org/node/311 to read more and find out how. 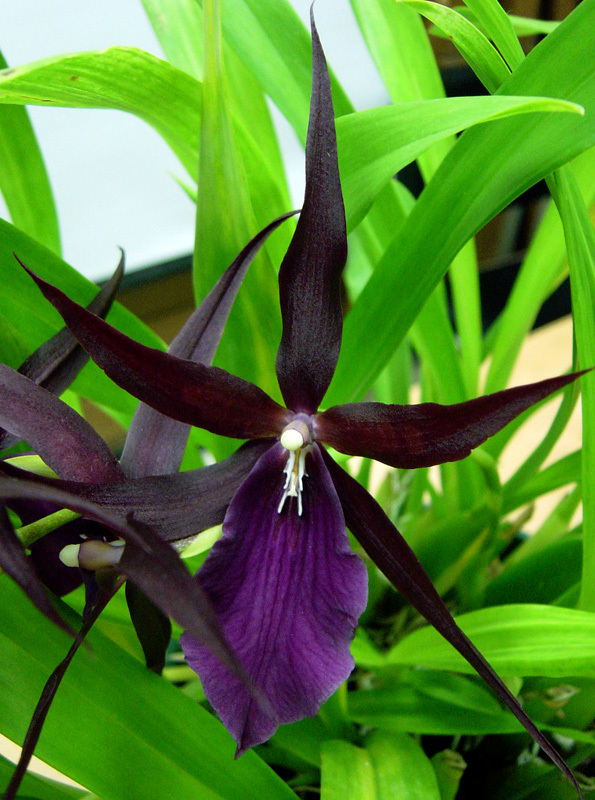 As always, one of the big highlights of 2013 were the Orchid Shows put on in partnership with the Vancouver Orchid Society. Each show was a smashing success with spectacular and exotic blossoms filling the subtropical section of the Conservatory. Knowledgeable VOS members led tours and answered questions about the dazzling displays. 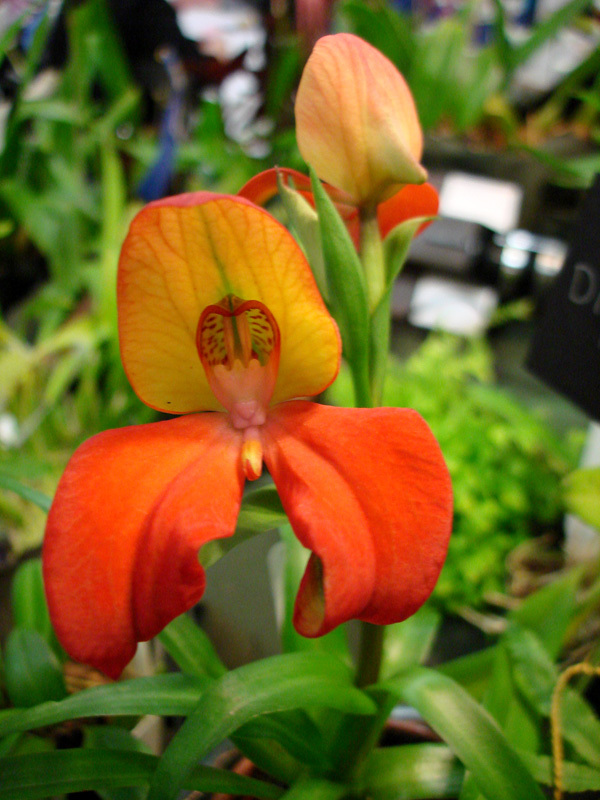 We eagerly look forward to more orchid shows during 2014! 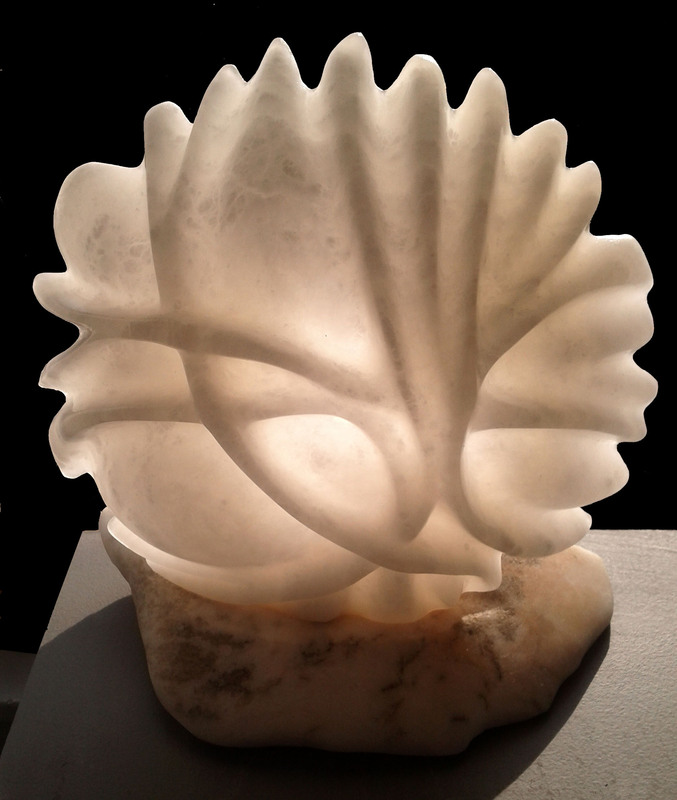 ‘Circle of Light’ by James Fletcher, made of Portuguese Alabaster. New for the Conservatory last year was the SSBC Sculpture Show “A Celebration of Nature”, which took place from February through March. The exhibit featured more than 45 pieces of work by fifteen Sculpture Society artists – all placed at key locations throughout the tropical atmosphere of the dome. A variety of materials such as bronze, copper, marble, granite, serpentine, exotic woods and terracotta were on display and sculptors of the society were on hand giving weekly demonstrations. 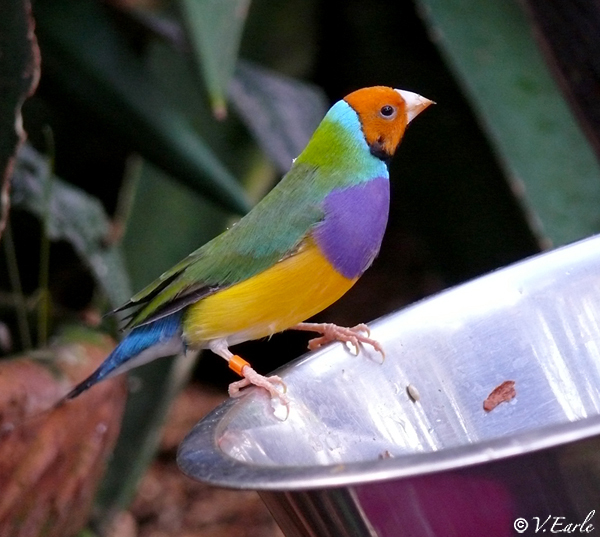 Brilliantly coloured Orange-headed Gouldian finch enjoying breakfast at the feeding station. 2013 also saw the amazing and special gift of 100 new finches in August and Malibu, the sulphur crested cockatoo in May. They add a tremendous boost of colour and activity under dome and delight visitors of all ages. The Conservatory is a great home and they are all thriving! And the gifts did not stop there! 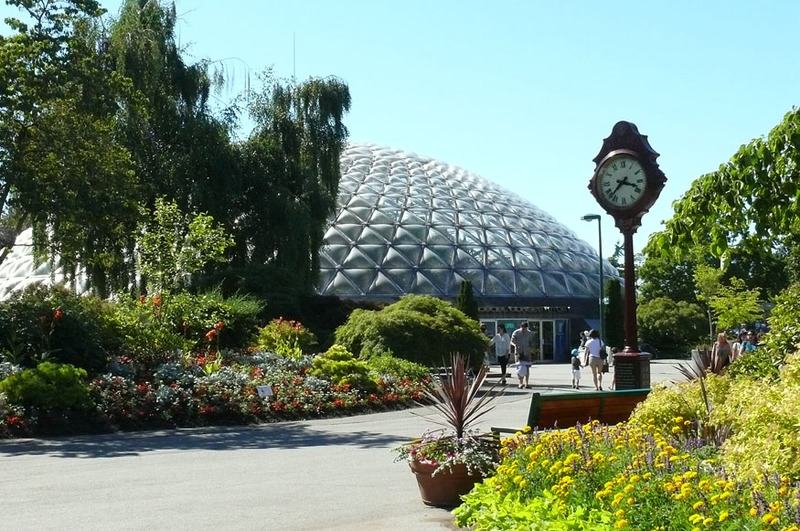 In March, the Federal Government invested $225,000 to complete phase 1 of the Bloedel Conservatory’s roof replacement project and is an important supplement to the City of Vancouver’s $1 million capital investment already in place for the new roof. Phase 1 of the project consists of replacing a percentage of the existing out of date roof panels and refurbishing the central ventilation fan at the top of the dome. The fan replacement was completed in September and the roof is scheduled to get underway in January! What an exciting and much anticipated way to ring in the New Year! Considering the city of Vancouver nearly lost this green jewel forever only 4 years ago, this year of 2014 will see the fruition of new programs, events and celebrations at the Bloedel Conservatory. We thank you ALL for your continued support of the Bloedel Conservatory and wish you and your families a wonderful and prosperous New Year! We also thank all of the organizations and individuals who partnered with the Conservatory and generously dedicated their time and resources to make 2013 a success! Be sure to visit our green jewel at the top of Queen Elizabeth Park and immerse yourself in the magic of the dome during 2014! 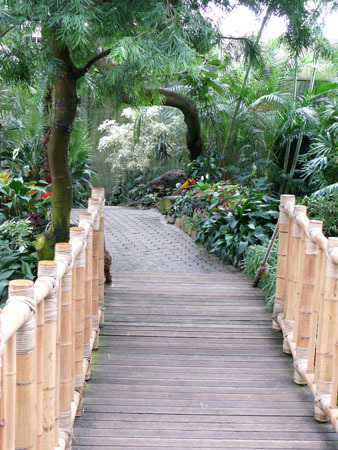 A Walk in the Tropics is back at Bloedel! 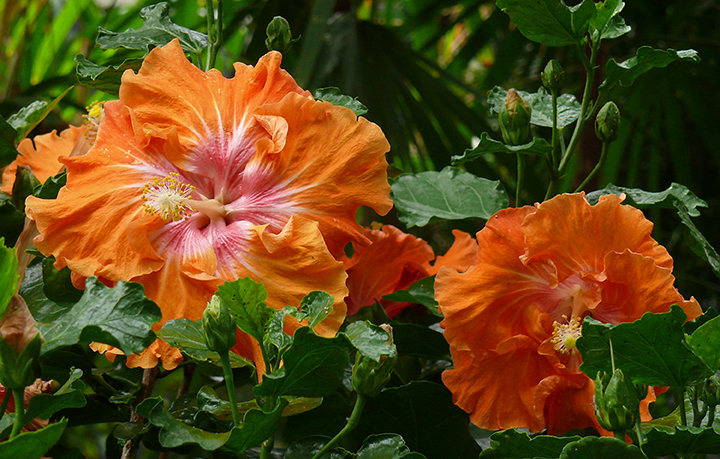 The tremendously popular Walk in the Tropics series is back at the Bloedel Conservatory! Come out and join expert speakers as they discuss a variety of topics while strolling through the lush tropical atmosphere under the dome atop Queen Elizabeth park. It’s like a mini vacation with an educational twist! 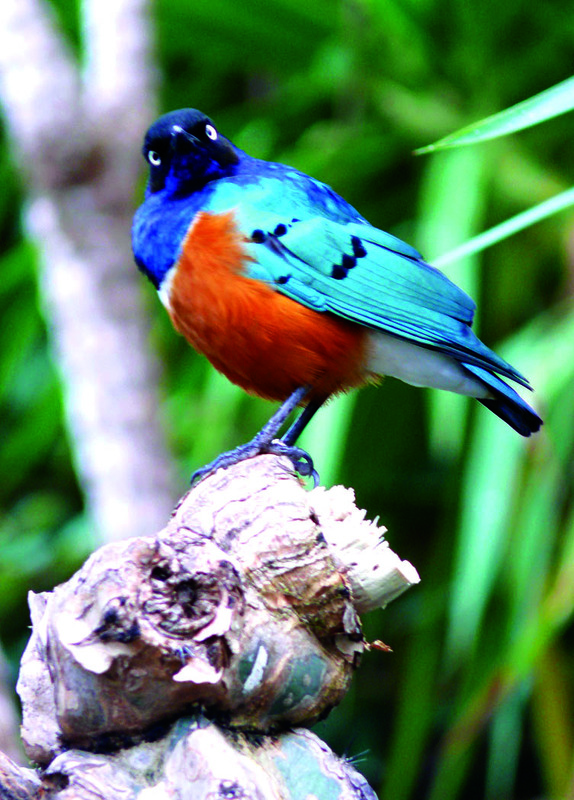 The first walk this season, ‘The Birds of Bloedel’, takes place on Wednesday, April 24th at 3:30. 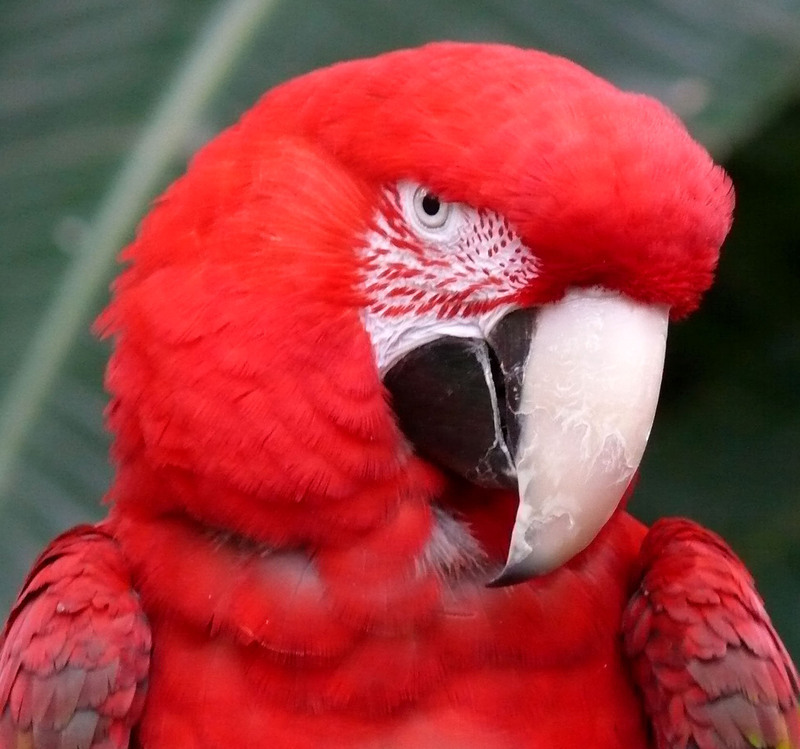 Education Director Janice Robson from the Greyhaven Exotic Bird Sanctuary will share intriguing facts about each species at the Conservatory – from the large exotic Macaws and parrots to the small finches and budgies. Janice will also discuss the care required, diet considerations and tips for keeping your own feathered companions healthy and happy. Cost to attend each walk is $10 for VanDusen members and $15 for non-members, which includes admission to the Conservatory. Pre-registration is a must! Register online, by phone, in person or by fax. 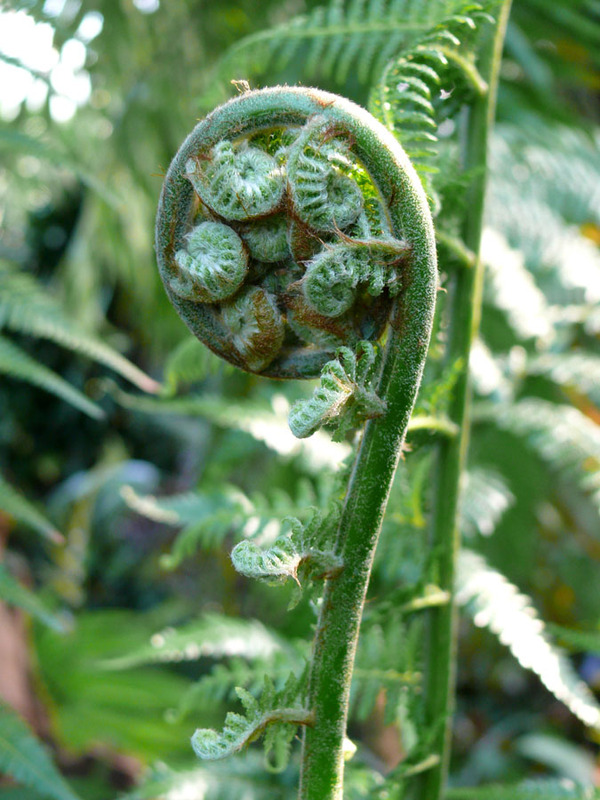 Visit the VanDusen Botanical Garden Adult Education Registration page for all registration information, forms and course brochure. Mark your calendars! This is a terrific series that you won’t want to miss! 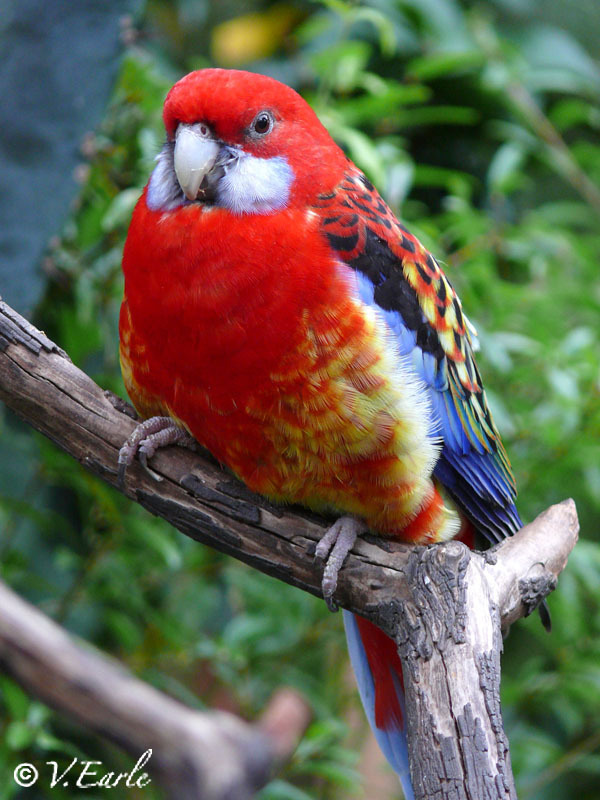 Janice Robson will introduce you to the variety of bird species that live in the Bloedel Conservatory. She is a wealth of knowledge and will share interesting facts and stories about all the species under the dome as well as great tips for your own feathered friends. 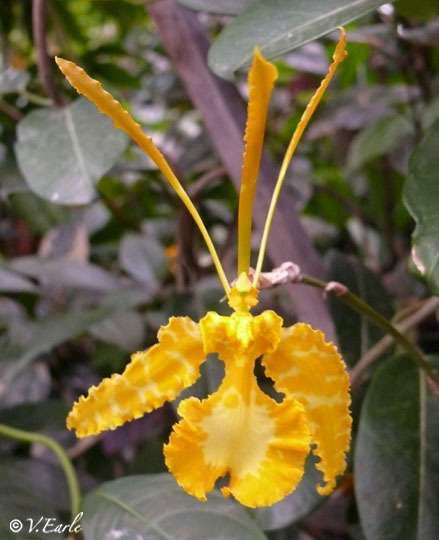 What makes tropical orchids so unique from most other tropical plants? How do they differ from their orchid cousins in colder regions? 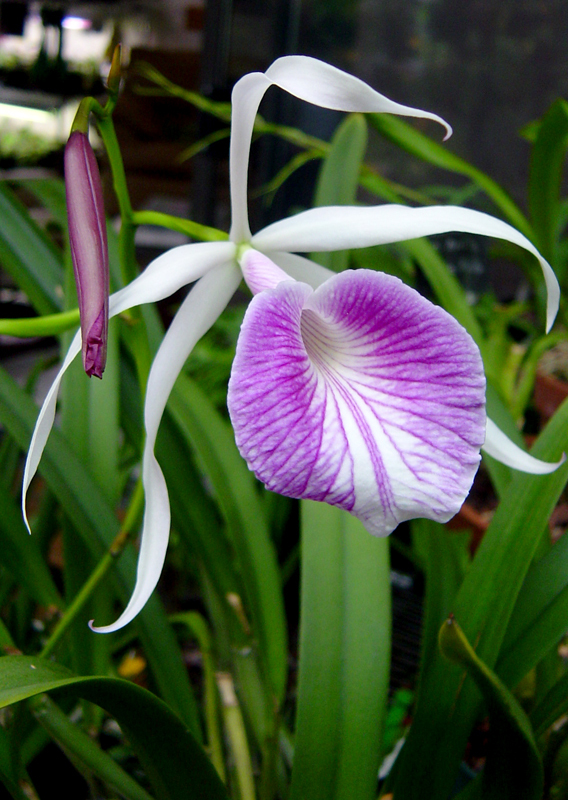 Join Margaret Pratt, President of the Vancouver Orchid Society, in a discussion about epiphytism and adaptations that make certain orchids suited to tropical climes. 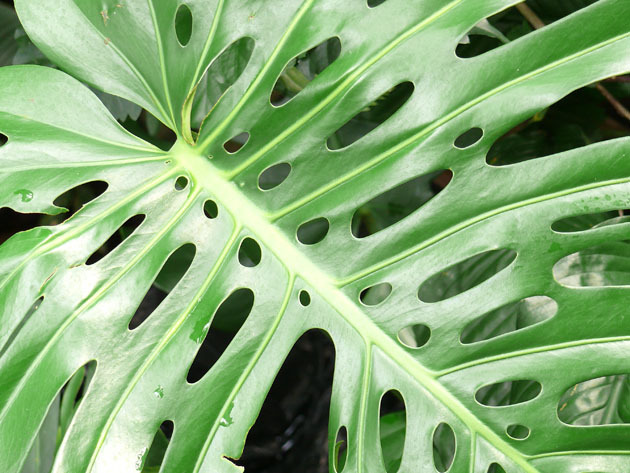 Join Dr. Aimeé Taylor, Horticultural Therapist, on a walk through the Bloedel Conservatory to discuss the healing and therapeutic benefits of spending time in green spaces. Discussion will include indoor plants for your home that provide clean air along with other benefits. 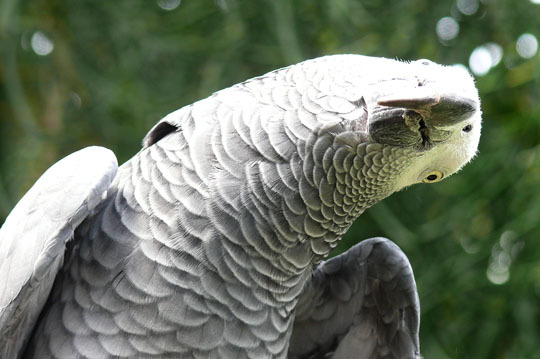 Jenny Tamas, Adoptions Director from the Greyhaven Exotic Bird Sanctuary, will introduce you to the variety of bird species that live in the Bloedel Conservatory. 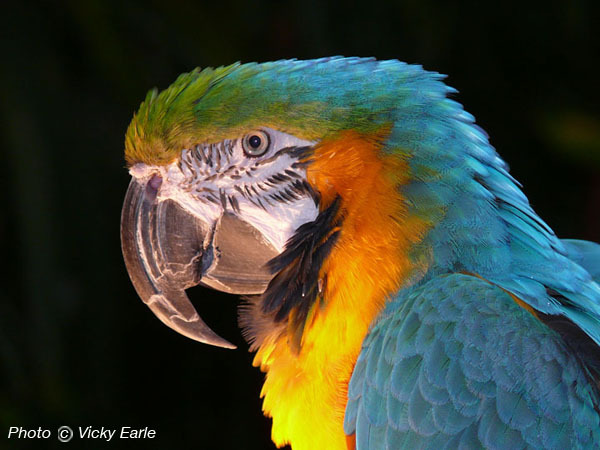 She will share interesting facts about each species, as well as the care required, diet considerations and tips for keeping your own feathered companions healthy and happy. Century Plant at the Bloedel Conservatory. Photo copyright Vicky Earle. We have a beautiful (and large) Century plant (Agave americana) at the Bloedel Conservatory. It is also commonly known as maguey or American aloe, and is originally from northeastern Mexico. These days, the Agave can be found in gardens worldwide as an ornamental plant. It has naturalized in many regions, and grows wild in Europe, South Africa, India, and Australia. 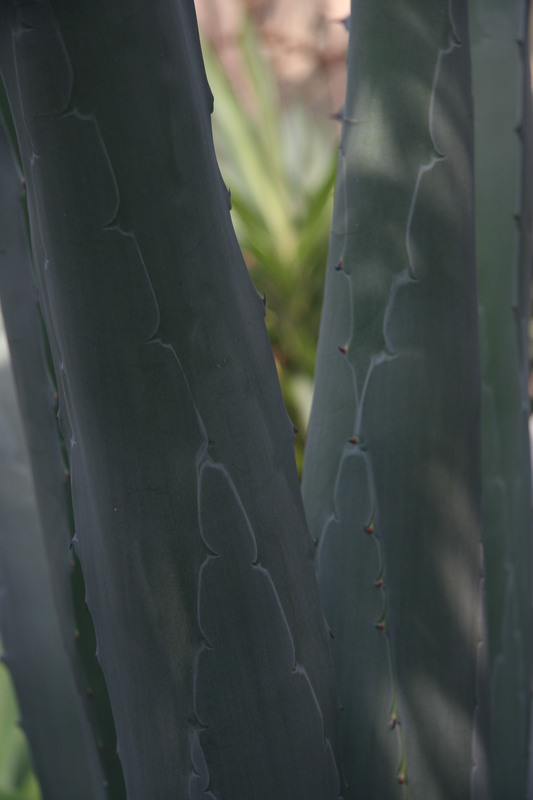 The maguey was one of the most sacred plants in pre-Hispanic Mexico. The common name, century plant, stems from the belief that this agave lives for 100 years, however, that is a misnomer probably resulting from a lack of observation1. In fact, the plant usually lives 10 to 30 years. Agave americana forms a spreading, stemless rosette of tapered grey-green leaves that can be as long as 2 metres (6.6 feet). Each leaf has tiny spines all along its borders, and a sharp spike at the tip – be careful getting too close, as this spike can pierce to the bone! 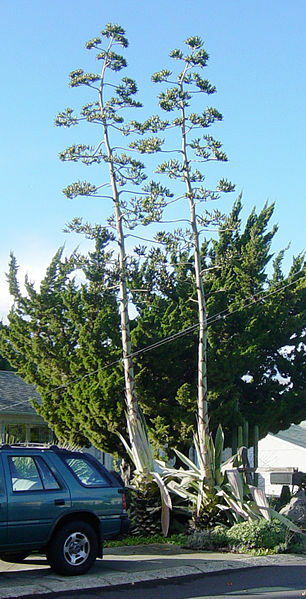 Agaves grow from seeds; the Agave americana can spread by sending up suckers (bulbils) at its base or “pups” as far as 15 feet away. Flower stalks of Agave americana. Photo courtesy Creative Commons. Like most agaves, this variety can take years to bloom. It is definitely an occasion worthy of note, one that is spectacular as the plant sends up a showy bloom spike that can grow 15 to 40 feet! It is topped with a cabbage-like clusters of small white or yellow flowers. The flowers may last as long as a month before withering, at which time the entire plant dies. Truly a ‘once-in-a-lifetime’ event. Luckily, the roots survive and send up new ‘pups’. If the flower stalk is cut out as soon as it appears, the plant will produce a sweet sap known as agua miel (“honey water”), which was traditionally fermented by the indigenous people of Mexico to produce a drink called pulque. Pulque is still consumed today. After Cortez brought the technology of distillation to Mexico in 1519, pulque began to be distilled to make mescal, a strong liquor similar to tequila but with a smoky flavor. 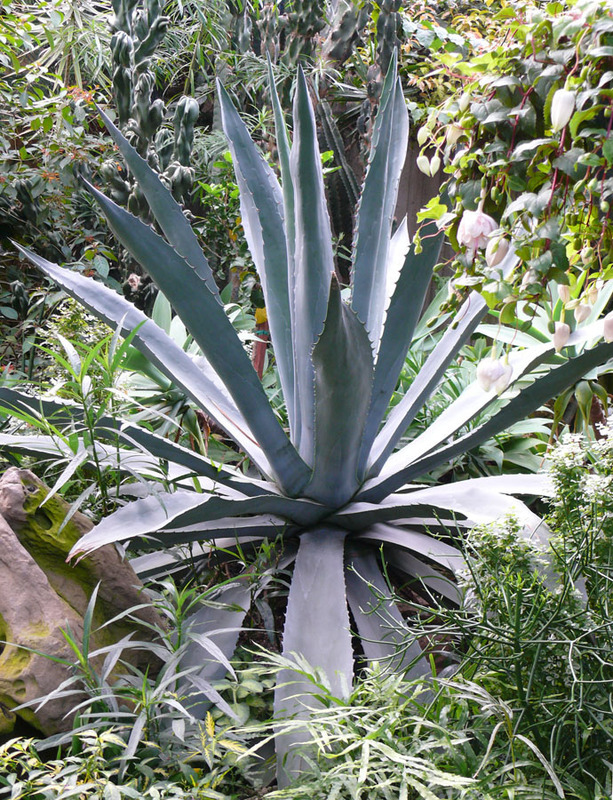 Agave hearts are steamed to make tequila from a different variety of agave, the Agave tequilana (blue agave). For mescal, the piñas (hearts) are roasted in fire pits before being fermented and then distilled. The infamous worm is found in mescal, not tequila, and is the larval form of a moth that lives on the agave plant. 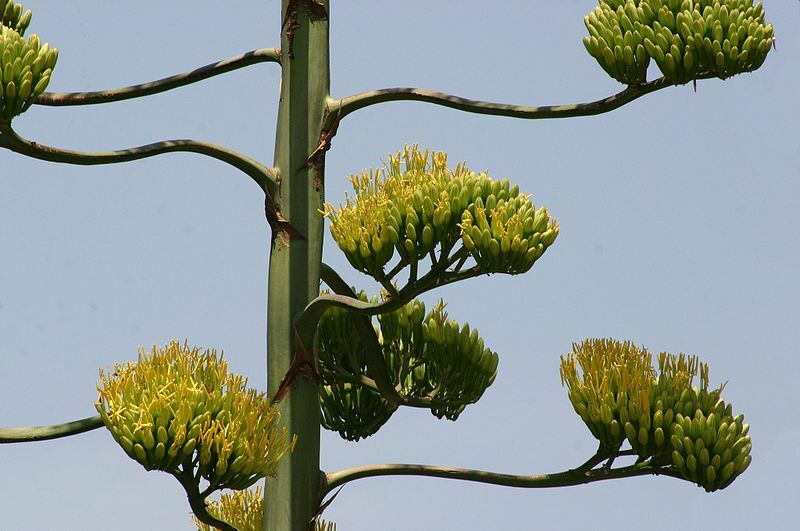 Agave americana has many uses beyond the production of mescal. Its leaves are very fibrous, and are used to make rope, matting, and coarse cloth, and for piteado, a technique for embroidering leather. Agave nectar, made variously from the piña or extracted directly from the spines of the plant, is currently marketed as a low-glycemic sugar substitute. When the Century Plant at the Conservatory gets ready to bloom, be ready to come in and see this spectacular event! We’ll be sure to let you know! 2. Baldwin, D. L. (2010). Succulent Container Gardens, p. 70. Portland, OR: Timber Press. Did you know that there are over 1,000 varieties of bananas in the world? 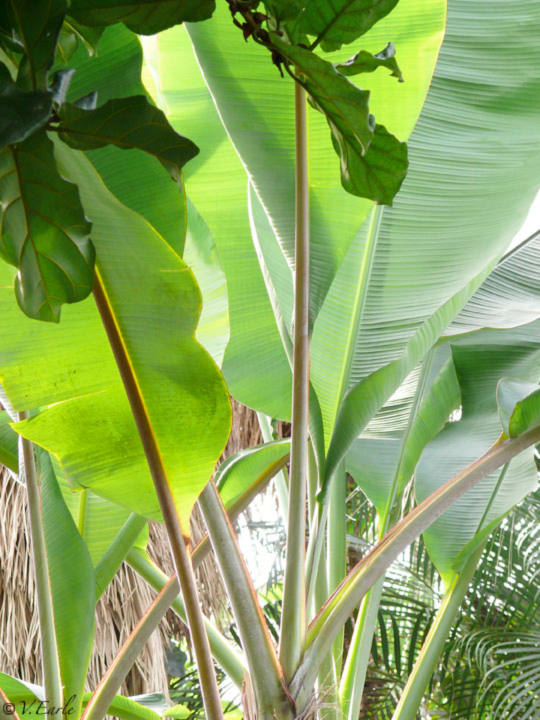 Banana plants are not actually trees, but are the world’s largest herb! 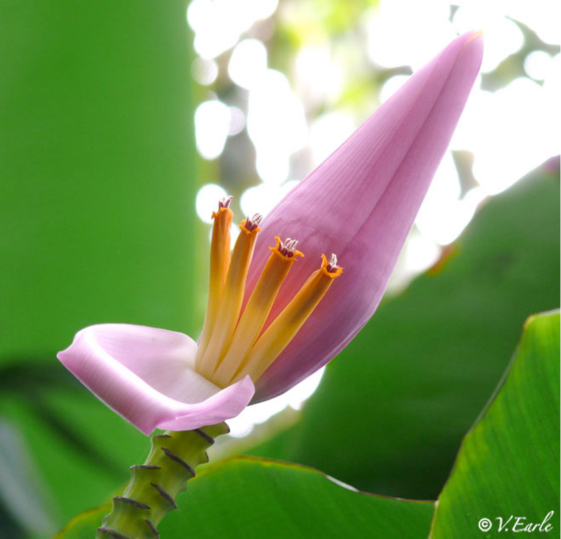 They are native to Indo-Malaysia and southeast Asia, but today can be found growing throughout tropical and sub-tropical climates around the world. There are 2 categories of bananas, those that you can eat immediately, often called “dessert bananas”, and those that need to be cooked called ‘plantains’. Plantains are more starchy and lower in sugar than dessert bananas. They are used like a vegetable and in some countries are even preferred over potatoes or pasta. All bananas, regardless of type are in the genus Musa. Bananas are fast growing plants. The plantains at the Bloedel Conservatory are approximately 18 months old. Once they flower and fruit, the plant dies, however new bananas sprout from underground rhizomes off the parent plant. 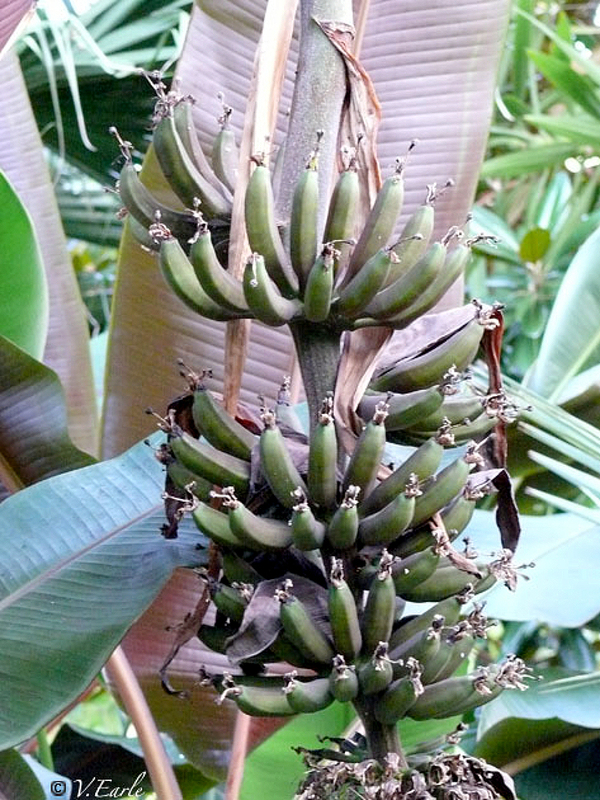 Bananas shoot up leaves in a spiral arrangement reaching up to 30 feet in height. Leaves range in number from 6 to 20 or more and are fused at their bases to form a pseudostem or false trunk. 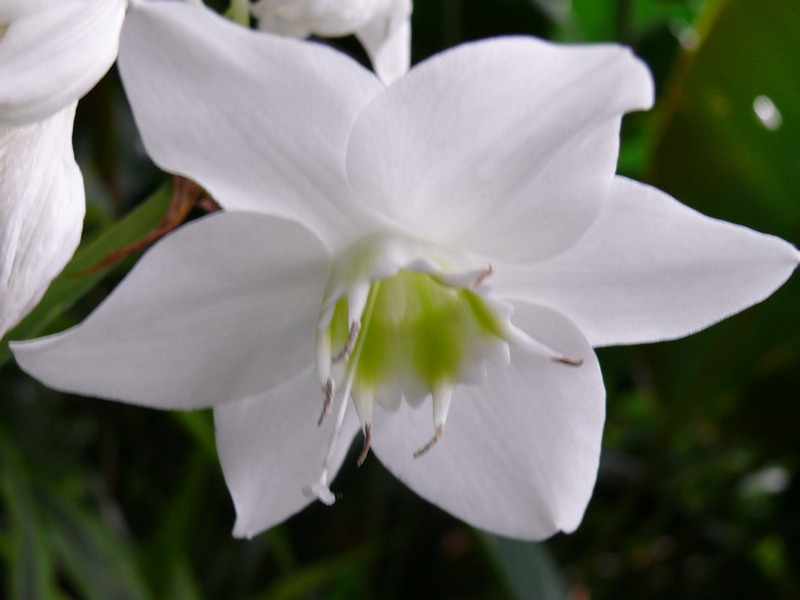 The flower, sometimes referred to as a ‘bell’ or ‘heart’, grows from the end of the true stem. 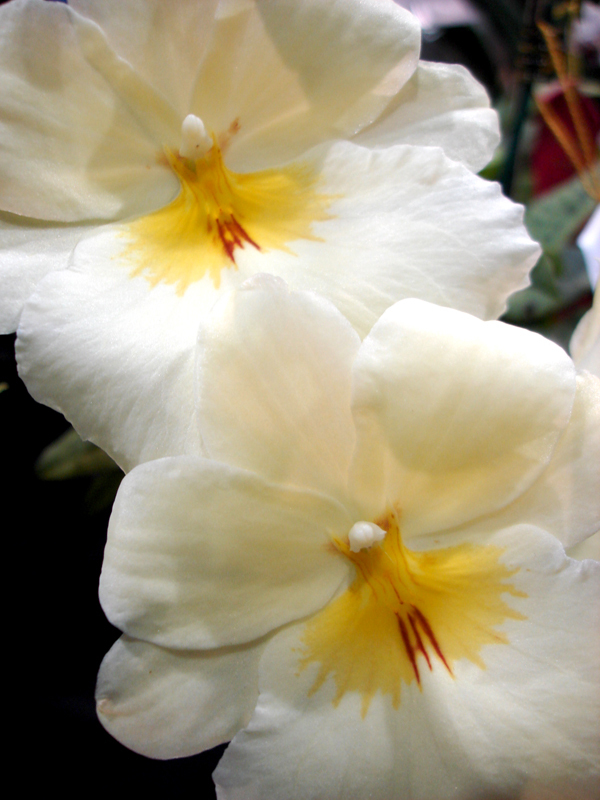 As the bud opens, each petal or bract lifts to reveal rows of yellow or cream coloured flowers. There are usually between 12-20 flowers per cluster. These are the flowers that develop into the edible fruits! Plantains cannot be eaten raw, but can be eaten when they are green. They are usually boiled at this stage and then mashed like potatoes. Plantains are actually ripe when the skin becomes nearly black. They are delicious baked, grilled, sautéed, pan-fried or deep-fried. Check out these amazing recipes including Caribbean Black Bean Salad with Sauteed Plantains, Sea Bass with Plantain Crust, and Cinnamon Raisin Ice Cream with Fried Plantains. Some grocery stores in Vancouver sell plantains, why not give them a try? Birds like tanagers and touracos love to eat bananas too! In fact, bananas are the mainstay of their diets. Maybe you can spot the resident touraco at Bloedel! 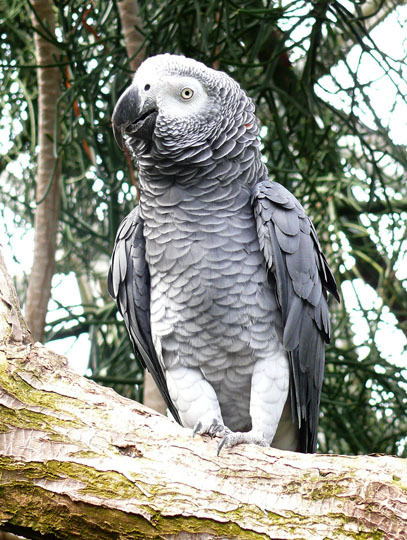 He loves to run along the high branches of the tall trees at the Conservatory. Touracos range in size from 15 to 25 inches in length (38 to 63.5 cm) and are spectacular in flight. 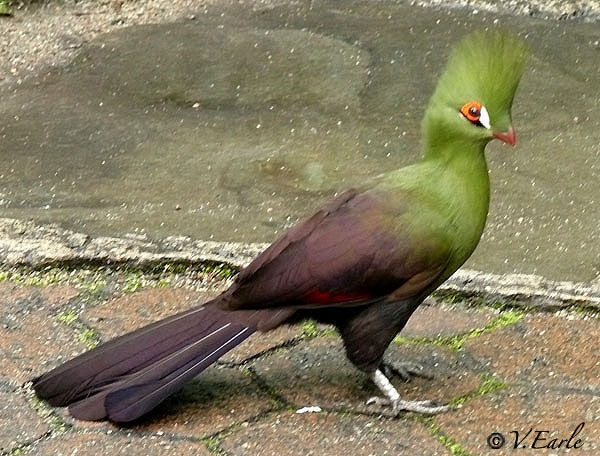 The Green-crested Touraco has vibrant red on the underside of his wings and tail, a prominent green crest on its head and a red wattle around each eye. Some species of Touracos are also called “Go-away” birds because their loud calls alert other game to run away when hunters are in the area. There are 19 different species of Touracos in the wild. They are part of a larger family that includes cuckoos and roadrunners. Touracos are native to Africa where they live in densely forested areas. Bananas are very important economic plants for many cultures and are the fourth most important food in the world today2. They are used for food, beverages, medicines, flavorings, and fragrances. The leaves are used for shelter and cooking, while the fibre is used for paper, rope, cordage, fishing line and clothing. Come for a visit at the Conservatory to check out the beautiful banana blossoms and see if you can spot the elusive touraco! Now that the rains have come and the temperature has dropped, it’s our tropical warm ‘get away’ at the top of Vancouver. October Orchid Show at Bloedel! The New Orchid Show is Here! Come be dazzled by the beauty of these extraordinary blossoms! 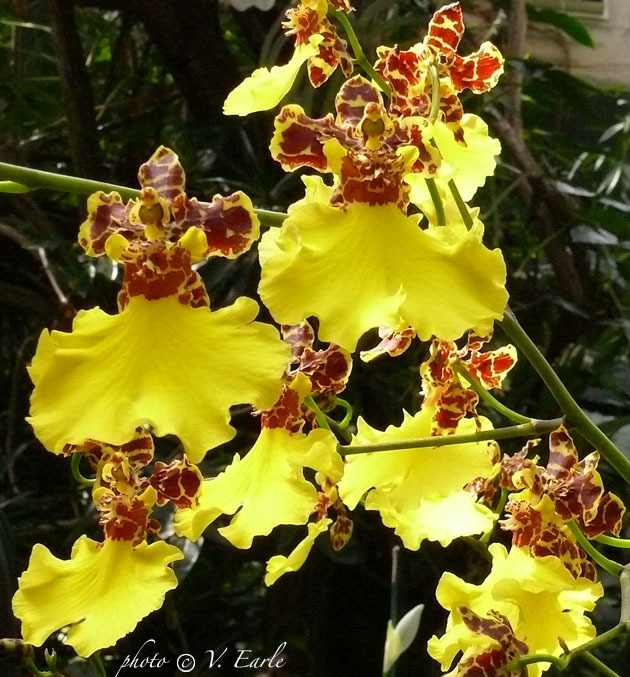 The Vancouver Orchid Society has put together an extraordinary display of orchids to share with you – a variety of lady slippers (paphiopedilum and phragmipedium), dancing ladies (oncidium), vandas, odontoglossums and a stunning butterfly orchid (psychopsis). The show runs from September 30th until October 10th, 2011. Members of the VOS will be on hand everyday from 11am to 3pm to answer questions you may have about orchid identification, repotting and maintenance. 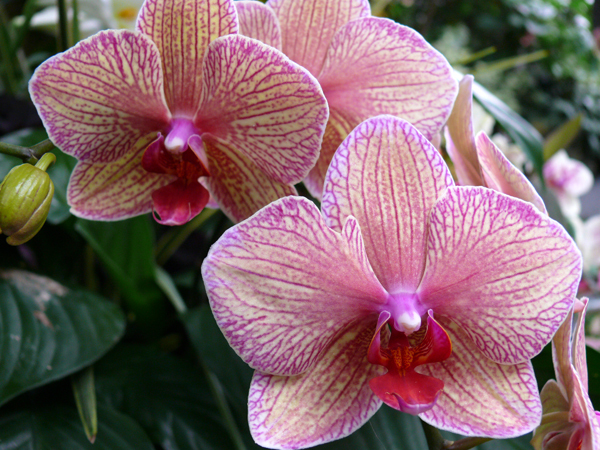 They will also be conducting free orchid tours scheduled for 11am, 12noon and 2pm every day. Listen in and learn about this very diverse family of plants, how they grow in nature and why orchids have become such popular (and addictive) plants worldwide. Members also promise to dispel any myths that these exotic plants are hard to grow! And don’t forget to look for the tiny orchids. They are some of the most delicate and spectacular specimens nature has created! Some even smell like chocolate mint. Be sure to bring your camera and your curiosity! You are in for a treat! 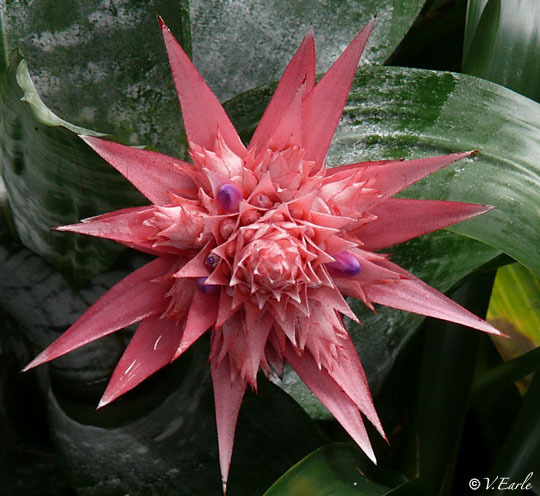 There are over 2,700 species of bromeliads in the world! Interestingly, pineapples and Spanish moss are also in this family. Bromeliads come in a startling diversity of shapes, sizes, structure, markings and colours. They live in many different environments and can be terrestrial – which means they grow in and receive nutrients from soil; lithophytic – which means they grow on rock and obtain nutrients from moss and rain water; or epiphytic – which means they are attached to another living plant and get nutrients from the air, rain/humidity and leaf litter. 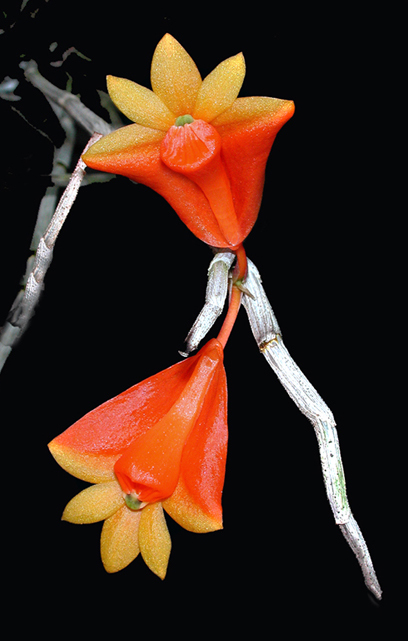 Epiphytic plants have major advantages in the rainforest. They have access to more direct sunlight, they have a greater variety of pollinators up in the canopy, and the wind can disperse their seeds more readily. Flowers are often small but very colorful. 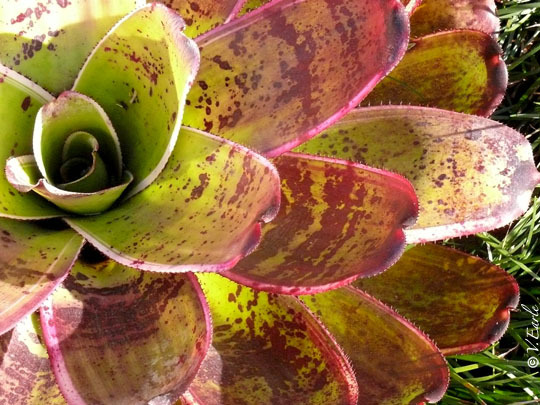 Did you know that as bromeliads grow, the leaves of many species form circular water tight “tanks”? In fact some bromeliads found in the Amazon can hold up to 45 litres water! Tanks act as a water storage system for the plant during dry periods and they also create important micro-environments for other creatures. 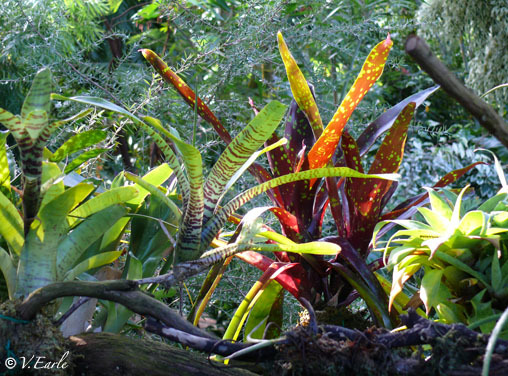 One biologist in Costa Rica tallied over 250 different organisms that lived in just one bromeliad tank! He found organisms like protozoa, bacteria, larvae, algae, insects, and even land crabs and frogs! 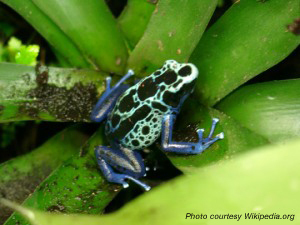 Speaking of frogs, another interesting fact about these plants is that they are key in the the lives of poison dart frogs. In the rainforests, poison dart frogs, also known as poison-arrow frogs, use the tanks of bromeliads as nurseries for their young! These young frogs are raised in a very different way than most other frogs. Both parents play roles to ensure their offspring survive to adulthood. First, the mother frog lays eggs under leaves on the forest floor. After they hatch, Dad stays on guard protecting the young until they grow into tadpoles. At this point, the tadpoles wiggle onto their mother’s back. She then carries each of her offspring piggy-back style to the tanks of water-filled bromeliads, a journey that may take several days if she climbs high into the rainforest canopy. The tadpoles feed on algae and mosquito larvae once safe within the tanks of the bromeliads. To ensure their survival, the mother frog returns with unfertilized eggs that she drops into each tank for the tadpoles to eat. Within six to eight weeks these tadpoles mature into adult frogs, leave their bromeliad home and set out to live back down on the forest floor. The Bloedel Conservatory maintains a variety of gorgeous bromeliads all year around. Stop by for a visit and see how many different types you can find! We need your help in the Aviva Semi-final Competition! With your help, ‘Of Birds and Botany’ sailed through the first round of the competition back in October. Voting for the Semi-finals is happening right now (until December 15) and we need your help again! We must place in the top 30 to move forward to the Final round. 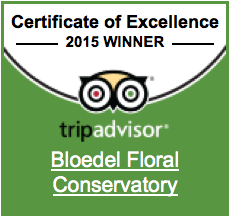 You can help us win $25,000 for education programs at Bloedel! The Aviva competition was created to help make a positive impact in Canadian communities – through providing education, youth programs, and helping the environment. If we’re successful, the VBGA will work with teachers, the Friends of the Bloedel Association, members and other community partners to design programs for kids and families in areas of ecology, conservation, botany and birds. If you haven’t already registered, it’s quick and easy. Everyone receives 10 votes – and you can cast your vote once a day, everyday! If you voted in the last round, you are all set to go! Together we are making great things happen! Sunday December 5th, 11 am ~ 4 pm! Many of us consider daily stress just a typical part of life. But did you know that 75% of all doctor visits are stress related? Stress weakens the immune system and lowers its ability function properly. Medical research is seeing a direct link between stress and serious issues such as heart disease, high blood pressure, migraine headaches, peptic ulcers, chronic fatigue, depression, anxiety attacks, and chronic pain to name a few. Thankfully, there is good news. A growing body of research is showing the importance and benefits of nature and green spaces on health – specifically in this very important area of stress reduction. Being active in a garden promotes both physical and mental well-being, but you don’t need to get your hands dirty to reap the benefits of time spent in a garden! “Passive recreation” is just as beneficial. Roger Ulrich, a professor and director of the Center for Health Systems and Design at Texas A & M University, has stated, the term “healing garden” refers to actual features that consistently help us recover from stress and have other positive influences on the body. Immediate benefits associated with shifting to a calm state are decreases in blood pressure and the lowering of stress hormone levels in the body. These are things that impact our moods and foster a sense of tranquility, serenity and peacefulness. Ulrich found that viewing natural scenes or elements fosters stress recovery by evoking positive feelings, reducing negative emotions, effectively holding attention / interest, and blocking or reducing stressful thoughts. They have a regenerative and energizing effect on the body. According to Eckerling (1996), a healing garden makes people feel safe, less stressed, more comfortable and even invigorated. 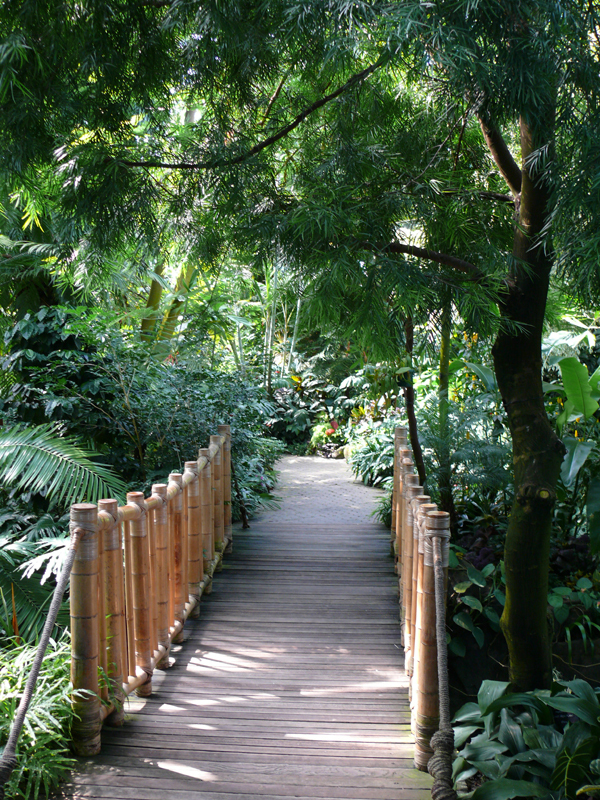 A healing garden will engage the senses and the Bloedel Conservatory does just that. The most obvious of these is using our sense of sight, but smell, touch, taste and auditory input can all be present. When you first walk into any garden, stop for a moment, shut your eyes and just listen. What do you hear? Wind rustling the leaves, birds singing, or perhaps running water? Take a deep breath. This in itself will help tension fade away and is why practices like yoga, tai chi and meditation focus on breath awareness. 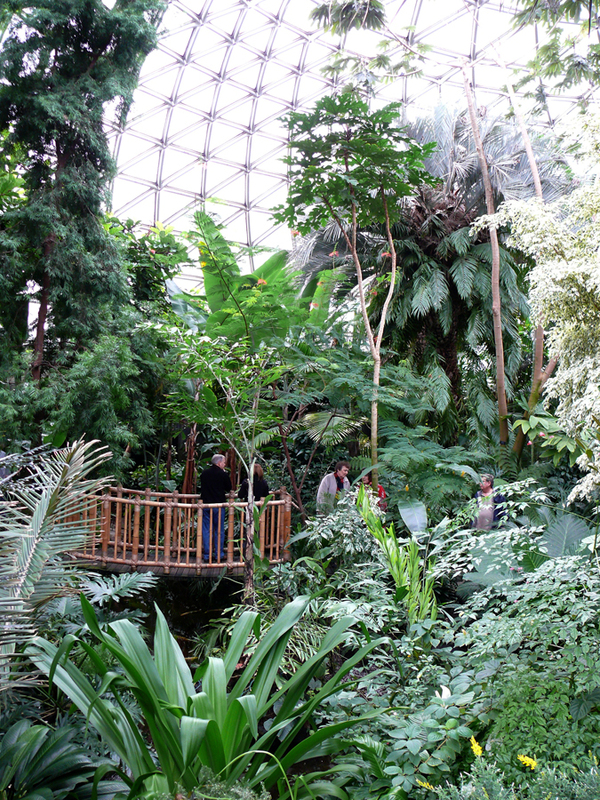 As you start to walk through the Conservatory, don’t be afraid to touch the leaves and bark on trees. What does it feel like? Smooth, rough, textured? Maybe there is a flower nearby to smell? Be present in the moment and let any tension start to unwind. So, What are 6 Features of a Healing Garden? In a study at Rutgers, The State University of New Jersey, Dr. Haviland-Jones has found that nature provides us with a simple way to improve emotional health – this would be flowers of course! “The presence of flowers triggers happy emotions, heightens feelings of life satisfaction and affects social behaviour in a positive manner far beyond what is normally believed.” They found that flowers have an immediate impact on happiness and a long-term positive effect on moods. Ulrich has found that viewing vegetation as opposed to urban scenes, changes our brain waves from beta waves (13 to 60 pulses/sec.) to a slower alpha wave (7 to 13 pulses/sec) that are associated with being “wakefully relaxed”. Being in “beta” is considered the norm for most people while in their everyday waking state. We emit beta waves when we are consciously alert, or when we feel agitated, tense or afraid. Alpha waves, however, are associated with states of mental and physical relaxation, and our brains drop into “alpha” during the first levels of meditation. Creativity, inspiration and intuition are often heightened by being in an “alpha state”. One of the first things you notice when you enter the Conservatory is the feeling of space. This in itself is relaxing. Its domed design is based on the geodesic principle that utilizes a structural space-frame to support the roof. This enables the large interior volume to be free of internal supporting columns. The added benefit of Bloedel is that it is an Indoor Nature Facility that can be enjoyed all year, rain or shine! The sound of gently moving water has an inherent calming effect on our systems and we feel a natural affinity to it. It adds dimension and harmony to our surroundings. “The sound of running water, apparently, is a genetic memory that sends off resonances deep within our limbic brain stem which also controls such basic actions as our breathing and hunger” (James Kilkelly). 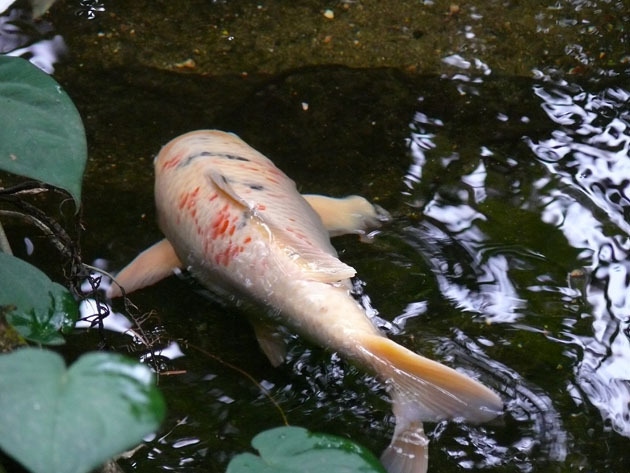 The sound of moving water is very relaxing and it has been found to enhance concentration. Interestingly, running water in Feng Shui is felt to strengthen good fortune. Have you ever felt refreshed after walking through a forest? This is called ‘forest bathing’ and physiological tests in Japan confirm positive therapeutic effects of this activity on stress hormones, brain wave activity, pulse and blood pressure. Studies in Tokyo have shown increased immune function after 2 hour walks in the forest. There is no shortage of large trees at Bloedel. In fact, a number of these were the first to be planted in the dome in 1969 and now reach over 60 feet in height. The Benjamin and India Figs, the Dragon trees, and Brazilian Jelly Palm are just a few of the stunning trees you will see and walk among. With over 100 free-flying birds and the antics of exotic parrots and macaws (not to mention the colourful Japanese Koi lazily swimming in the pond), one of them will surely bring a smile to your face! Wildlife distracts us from stress and negative thoughts about issues in our lives, even if only temporarily. It is impossible to think of two things simultaneously! Find a quiet spot at the conservatory and sit for a few minutes. Notice what’s around you. Take a deep breath. You won’t wait long before you start to notice the free flying birds busy with their day: building a nest, looking for food, chasing each other around the vast space. The secretive and exotic Touraco may even make an appearance and capture your interest! 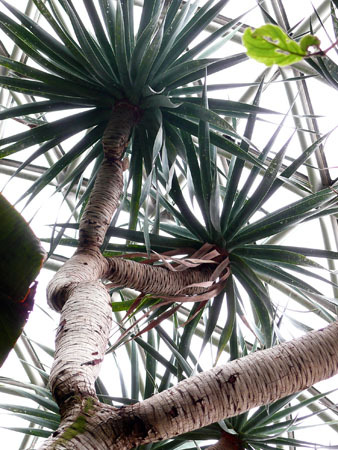 Visiting the Bloedel Conservatory will give you a boost regardless of the weather outside. Bring a book, a sketchpad, your camera, or simply come and sit on a bench. It will soothe your senses and re-energize your day!